The National Assembly for Wales elections in May 2016 come at a crucial time for public services in Wales. The impact of ongoing austerity has seen £720m cut from local services since 2010, and it is anticipated that local councils will face a cumulative budget shortfall of over £940m by 2019. The majority of unprotected council services now face being locked into a process of serious decline, with services vital to economic growth and the general well-being of communities having already experienced budget reductions of between 20% and 50%. Local services provide the bedrock of safer, more cohesive and fairer communities. In this setting, councils are the key democratic bodies charged with the role of governing their locality and representing it. To do that they must have autonomy, financial security and control of their own localities. This is the essence of localism. 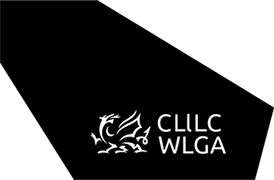 Clarity and commitment to partnership – clarity from the Welsh Government about the future of local government, its roles and responsibilities and clarity around the plans and timescales for reform. A restatement of a commitment to partnership governance in Wales is essential to ensure that local and national government are working together based on clear principles or mutual respect and understanding. Fair and flexible funding – councils need greater fiscal autonomy and flexibility to respond to local needs and priorities. Specific grants should be transferred into the settlement, and the Welsh Government should commit to multiyear financial settlements so councils can plan more effectively and fully cost and fund any new national initiatives or legislation. Commitment to the principle of Subsidiarity – the Welsh Government should commit to the European Charter of Local Self Government and the principle of subsidiarity, where the presumption is that power is transferred to the level of government closest to the people. The Welsh Government has a clear national strategic role, but councils want to see momentum behind the devolution of powers beyond Cardiff Bay to local government and to local communities. Our manifesto sets out 40 key priorities for the next Welsh Government to address, which will help local authorities respond to local challenges and needs and contribute to the delivery of national ambitions and outcomes. More importantly they will help local councils deliver on the priorities of their own local communities.